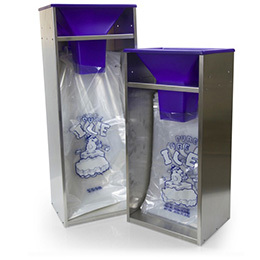 Quickly and efficiently fill 8 lb, 10 lb and 20 lb ice bags with our 20 lbs Ice Bagger. Stainless steel body, with an easy-clean removable BPA-free poly chute. This quick and Ice Bagger works with our 8 lb, 10 lb and 20 lb plastic wicketed ice bags. Simply hang the wicket ice bags on to the metal lip inside the ice bin opening and fill your ice bags in seconds. 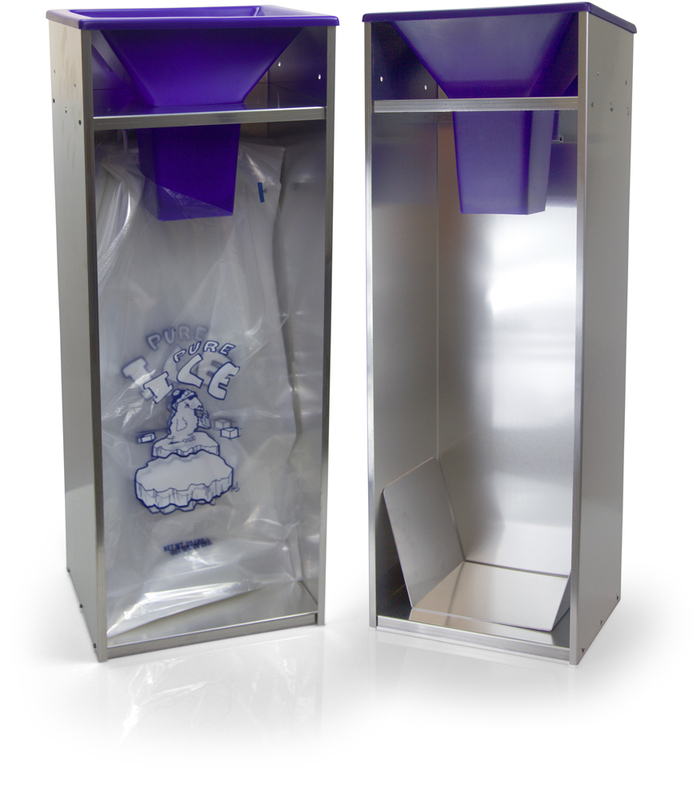 You will keep your ice clean and have no wasteful spills with the removable plastic chute. Add bag tape and a bag tape dispenser to your order for easy sealing and you will be in business. 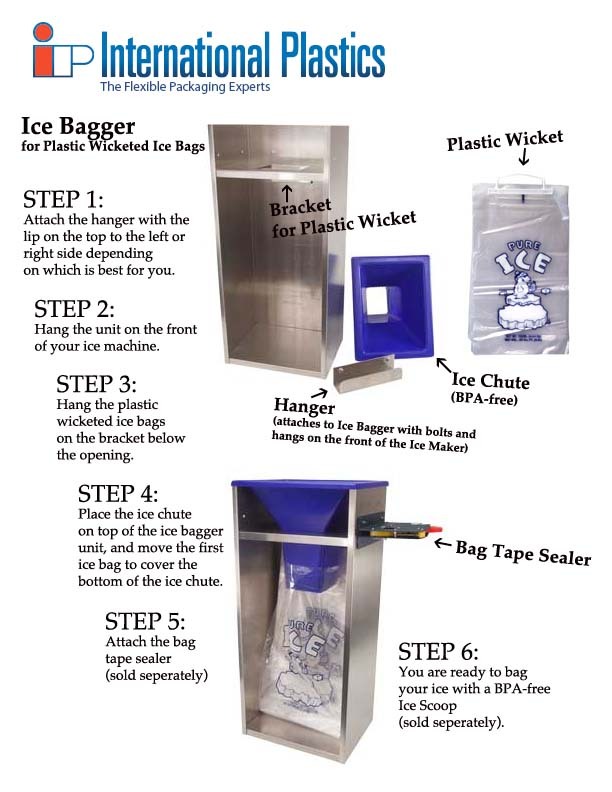 Ice Bagger assembly instructions.